Life is filled with lemons! So here are top ten ways to squeeze the good out of those life-puckering situations. And James Watkins is a great guide since he’s felt the squeeze of cancer, unemployment, family crises and chronic nose hair. Join him on the journey with hope and humor. 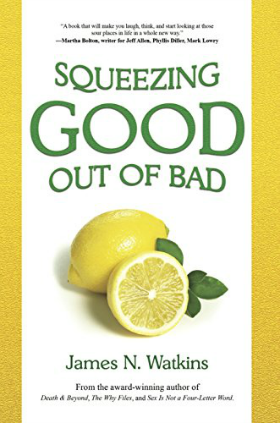 • Jim’s talk that summarizes Squeezing Good Out of Bad. But, wait! There’s more . . .